The team poses for a photo in Russellville, Arkansas for a pre-ordered meal. 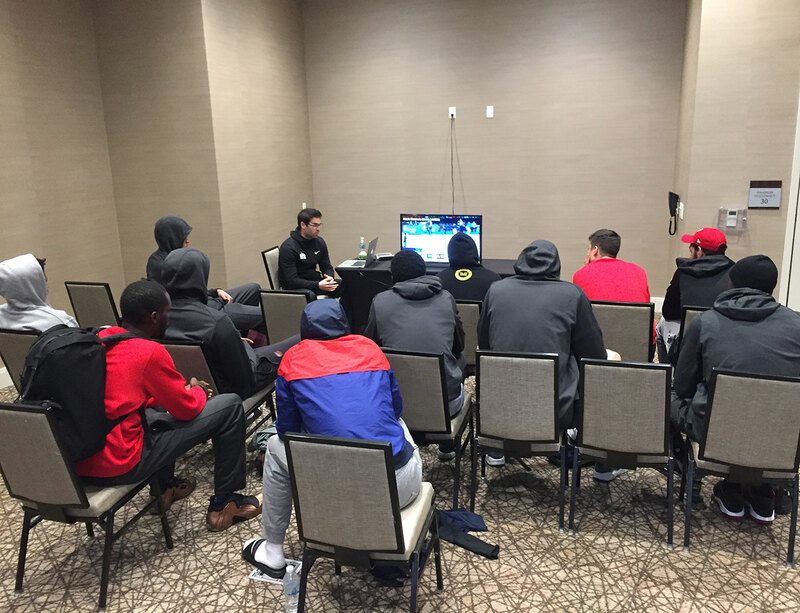 Assistant coach Brett Burman leads the team’s morning film session at the hotel prior to gameday shootaround. 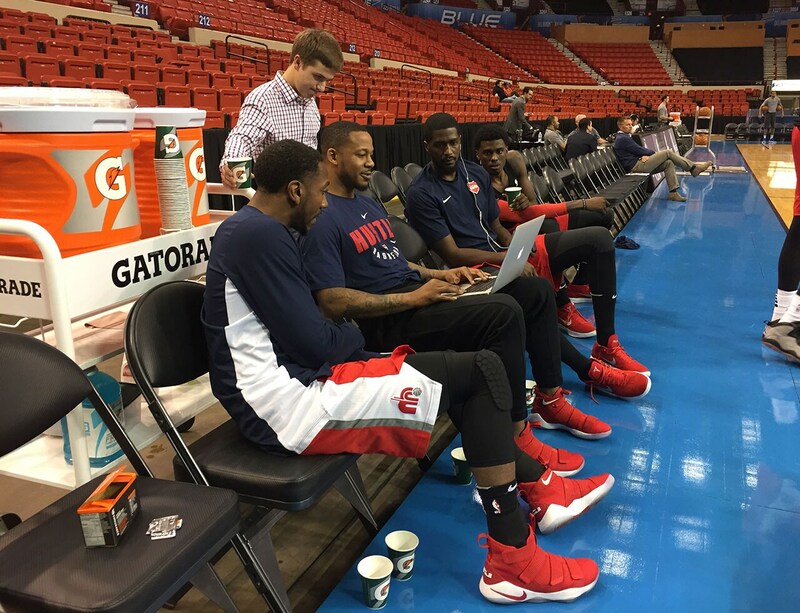 (L-R) Guard Marquis Teague, assistant coach Sean Dockery, basketball operations assistant Wade Langlois and forwards Omari Johnson and Shaquille Thomas go over final preparations at Cox Convention Center. 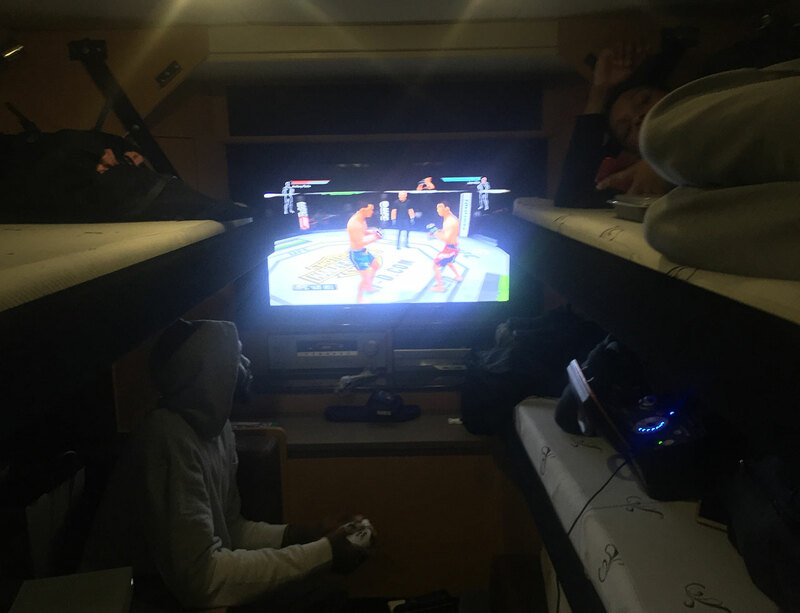 Hustle forward Trahson Burrell plays UFC on Xbox One while teammates Ivan Rabb and Durand Scott relax on one of the bus’ many beds. 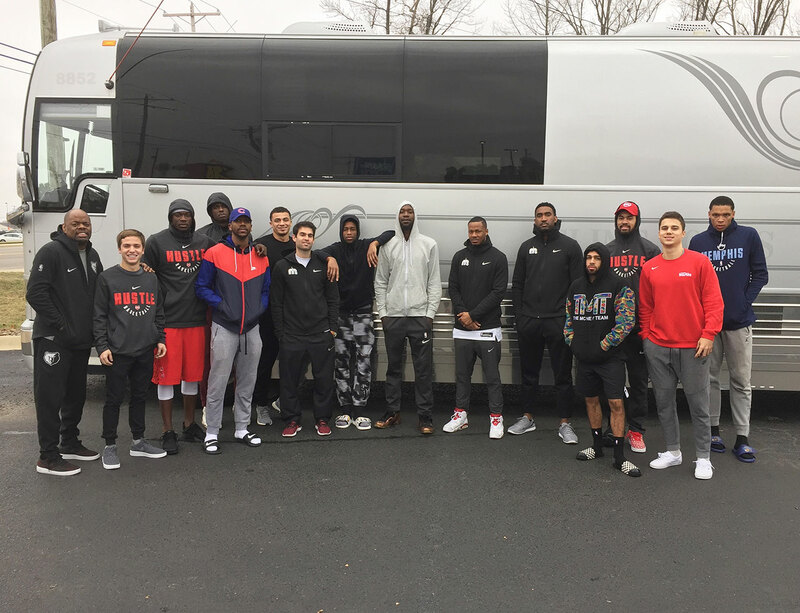 The team’s chartered bus featured several TV’s, DirecTV, an Xbox One and a stereo system. 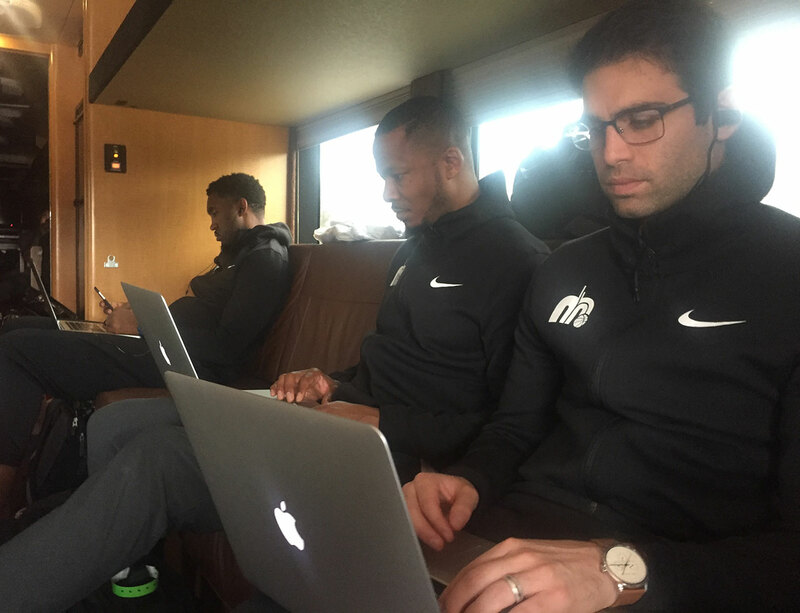 Hustle assistant coaches (L-R) Darnell Lazare, Sean Dockery and Brett Burman study film in preparation for the team’s game against the Oklahoma City Blue the following evening.